Real estate money laundering is not a new problem in the United States. According to the Financial Action Task Force on Money Laundering (FATF), the real estate industry is particularly vulnerable. The US Department of Treasury’s Financial Crimes Enforcement Network (FinCEN) agrees. Various programs and crackdowns aimed at identifying the true origins of funds are putting roadblocks in place to reduce the instances of money laundering. These programs change frequently due to their efficacy as well as the ability of criminals to circumvent them. For example, in some cities, FinCEN requires that title insurance companies identify the individuals behind the shell companies making all cash purchases. But, in this instance, the criminal can simply not buy title insurance and slip right through the loophole. For real estate professionals, knowledge is power in combating money laundering and protecting yourself from a real estate lawsuit. 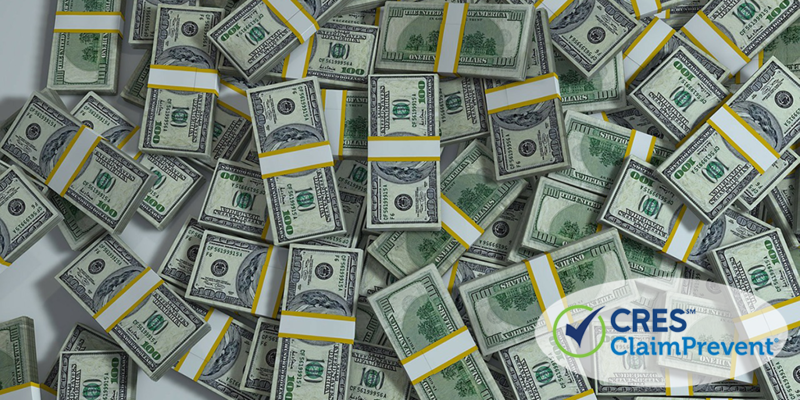 By understanding how money laundering works and what to watch out for, you can identify, avoid, or report money laundering and protect yourself. When money is made from illegal activities, it needs to be “laundered” through the financial system, so its original source is disguised. NAR has a good explanation of the entire money laundering process. As part of the money laundering process, the illicit party may purchase a legal item that will tax the illegally-obtained funds. Enter real estate. Drug cartels, con artists, and corrupt foreign governments can purchase a property in the United States for millions of dollars in cash with little to no reporting. That investment will remain in the real estate property or be sold and turned into clean, legal money. This shields the funds from market instability as well as exchange rates. A country of origin that has US sanctions against it, an unstable government, or a high degree of political corruption. If you suspect the country of origin fits any of these categories, check with the Office of Foreign Assets Control (OFAC). A use of a third party exhibiting suspicious behavior. Putting the title of a residential property in the name of a third party in an effort to hide the identity of the real owner, such as a shell corporation. Shell corporations are legal in origin, but are used to disguise business ownership from the public or the government. They are businesses that are in operation, but not doing any real business at all. In 2015, The New York Times found that half of the New York residences sold for $5 million or more involved shell corporations in the purchase. A high ranking political official who uses the names of their family members to make the purchase. If the buyer seems uninterested in negotiating for a better price. If the property is being sold for significantly less than its value. Use of large amounts of cash. The purchase of a property without a mortgage. A property being purchased that is not consistent with the buyer’s occupation or income. Immediate resale of the property, especially when the resale price is dramatically higher or lower without explanation. Requests for fast transactions, especially when the buyer does not want to view the property. If the buyer is a business, take steps to uncover the real identity of the owner, also known as beneficial ownership information. For most companies, this means going to their website and searching in the About and Contact sections. For companies that do not have a website (a red flag in itself), ask for phone numbers and emails to confirm identity. Ask additional questions to ascertain the buyer’s circumstances and business. Discuss concerns and risks with superiors. If you suspect a buyer may be attempting to launder money, you can call CRES ClaimPrevent®. Have you encountered suspicious activity or money laundering during your career? What behaviors aroused your suspicion and what was the outcome? Tell us in the comments below.